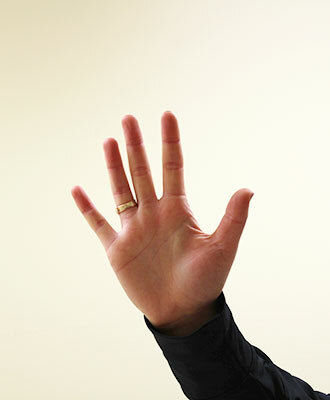 Rest your arm on the forearm of a chair with the hand hanging off the end, palm facing down. You can also place a folded up towel under your arm for extra cushioning. Extend your wrist to point your fingers up towards the ceiling. Pause, and then return to start. Repeat 5-10 times per side. Next, rotate your hand so that your thumb is pointing to the ceiling. Perform the same exercise as above, extending your thumb up to the ceiling. Pause, and then return to start. Start with your thumb pointing out to the side. Flex it to bring it across the palm of your hand. Pause, and then return to start. Extend one arm in front of you at shoulder height. Turn your palm away from your body and point your fingers down. 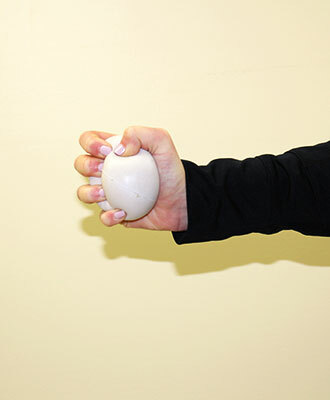 Using your other hand, gently pull the base of your fingers back towards your body. Hold for 30 seconds before switching sides. 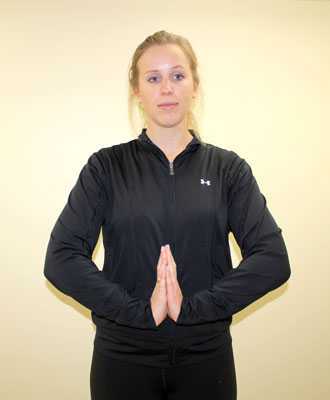 Then, extend your right arm in front of you at shoulder height, with your palm facing your body. Place the opposite hand on the back of the right hand. Push the right hand into the opposing hand to feel a stretch in your forearm. Start with your palms together, around the height of your chin. 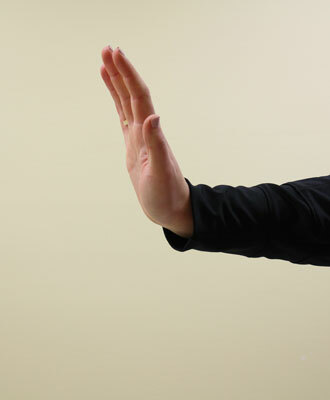 Slowly lower your palms down your front,keeping your palms close to your body and the base of your palms touching. Stop lowering your hands when you start to feel a nice stretch in your wrists. Hold here for 30 seconds.